Been so obsessed with Leather recently that my relationship with Denim has been quite neglected. 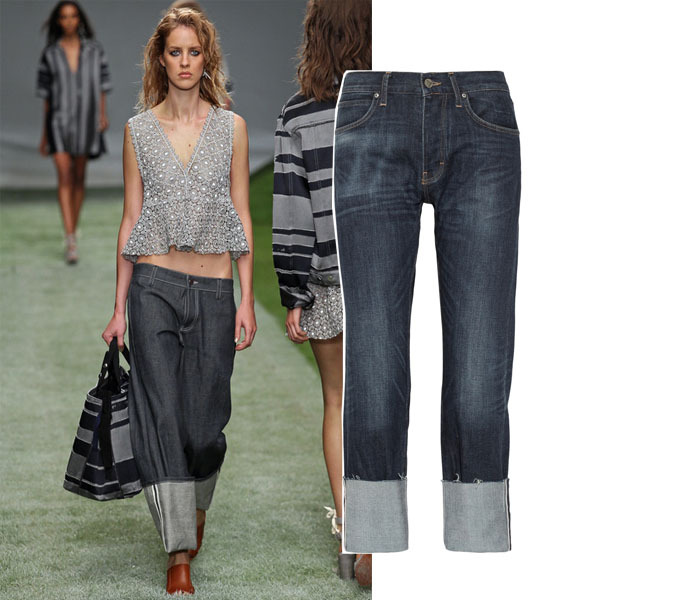 The Topshop SS14 show, however, saw to rekindle the flame with this slouchy, turned-up take on the universal wardrobe staple. Love at first sight. After much hunting and gathering (you don’t expect me to wait until next summer, right? ), I have found my fix,courtesy of Mih. Alternatively,Asos does a great version, too. C(h)uffed!